Tonkotsu ramen and the remains of chicken ka-raa-ge. 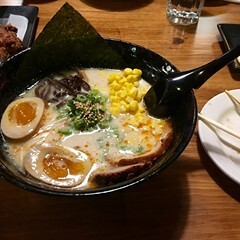 It seems churlish to complain about the lack of ramen on the far north side when we've got so much pho and also a fair amount of matzo ball soup, but I can't help feeling a twinge of envy when I read about all the exciting new ramen joints opening in Logan Square and Wicker Park. Is there some reason why those of us who live on the upper reaches of the Red Line don't get to slurp our dinners, too? Is this some sort of punishment for no one volunteering to save the Sunshine Cafe in Andersonville when its former owner retired? Are we now forever unworthy? 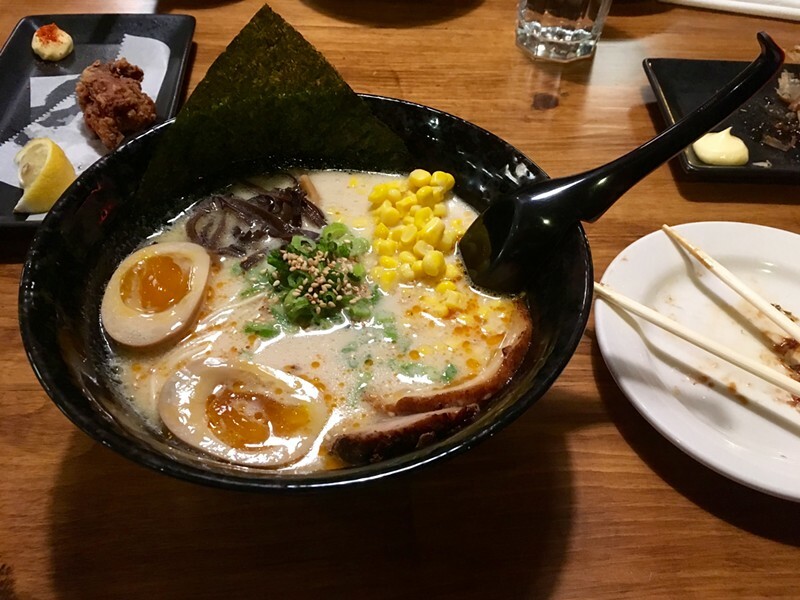 It was a relief, then, to hear that Futatsuki Ramen had opened in the fall in Uptown, among the stretch of African restaurants across the street from Truman College. I headed over there one night that was cold enough to make ramen feel not only like a good idea but a primal need and invited a friend who claimed her life had not been the same since she couldn't get her regular fixes of Sunshine's katsu don. Futatsuki is not one of those sleek new ramen bars that looks like it was inspired by a research trip to Tokyo. Instead, it's a modest storefront with a few rickety booths and tables and not much in the way of decor besides a good-luck cat waving its paw beside the front door. It's a family operation—though the family is originally from Thailand, not Japan—and, apparently, they have conscripted everyone: the first person who approached our table after we were seated appeared to be about three years old. He was brandishing an iPhone. He didn't really do much, but when he returned, he was escorted by a woman who brought us water and took our order. I can only assume he was the headwaiter. 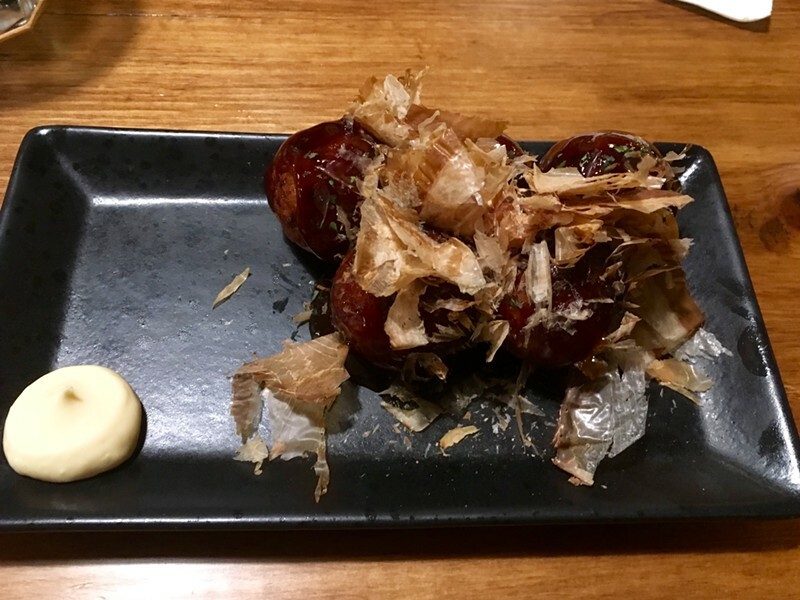 The menu at Futatsuki is concise, with just a handful of appetizers and entrees and one type of ramen, tonkotsu, or pork. That was enough. I admit, it's difficult to find fault with any foodstuff pulled fresh from the fryer, but that is by no means a slight against the gyoza or the chicken ka-raa-ge. The skin on the chicken was shatteringly crisp, while the meat was still juicy, and the gyoza hit the sweet spot between sweet, spicy, and salty. My friend was equally pleased by her katsu don. She said it filled the void in her heart—or maybe just her stomach—left by the Sunshine Cafe. By the time I got to try it, there wasn't much left besides a few bites of pork (which had, at that point, gotten a little soggy) and a lot of rice. The only thing we tried that we did not love were the takoyaki, which were a bit too rich, but that was all offset by the joy of getting to say "octopus balls" over and over. But when there's ramen on the far north side, who are we to complain? Slurp away, ye who have ventured into the wilderness north of Irving Park Road. Slurp away and rejoice.